Your calendar on your dashboard will "gray out" times that you don't usually work, helping you avoid mistakes. 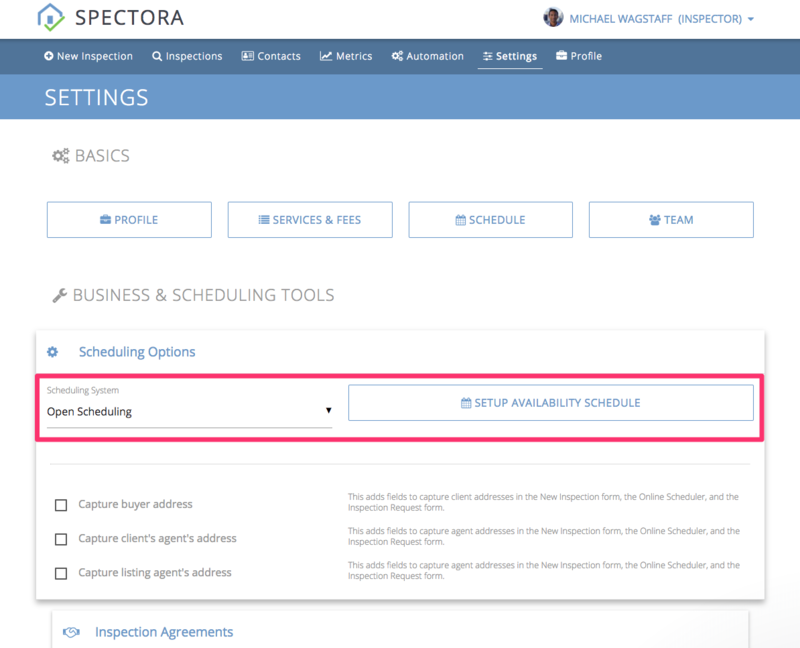 When scheduling new inspections, you will get a warning if it is outside your usually-scheduled times. 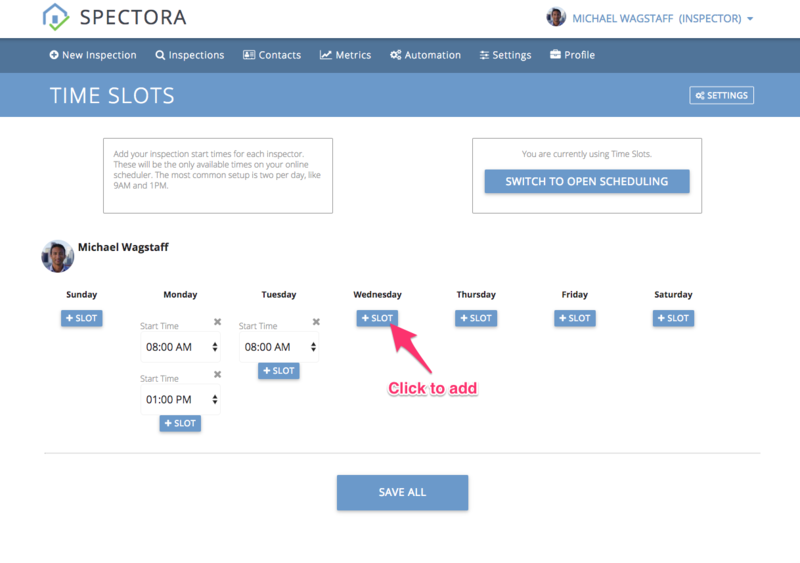 The Online Scheduler will use your schedule to allow clients to choose open date/times. First, decide if you want to use Time Slots vs Open Scheduling. Time Slots are specific start times for inspections - maybe you only do inspections at 9am and 1pm, for example. 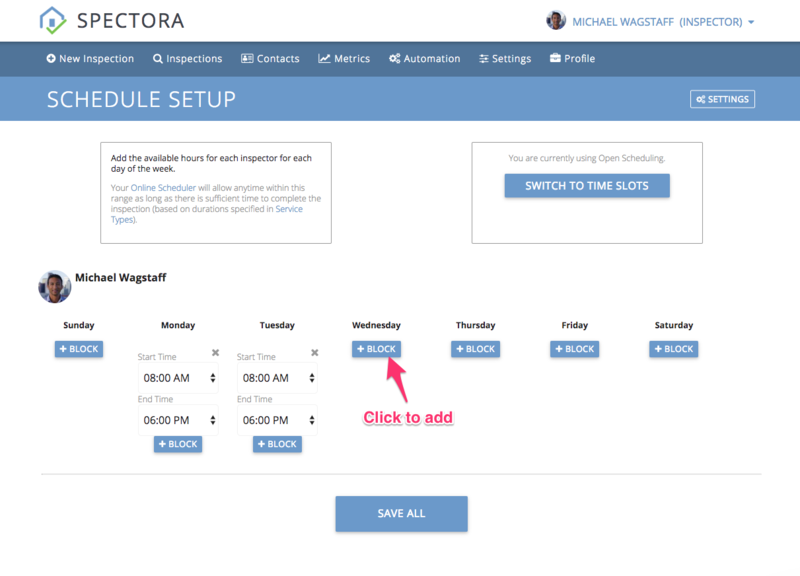 Open Scheduling let's you say "I work from 8am to 5pm" and allows for scheduling within that block. Open Scheduling is more useful when your inspection lengths vary. 2. Click "Setup Availability Schedule" or "Setup Time Slots". WARNING: If you don't set these up, your Online Scheduler will always show you as "unavailable" and you may be missing out on valuable leads!